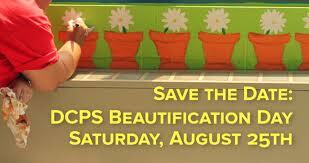 Registration is now open for the 7th annual DC Public Schools (DCPS) Beautification Day on Saturday, August 25, 2012 from 8:00am to 1:00pm. This annual DCPS event was established in 2005 as a citywide “spruce up” of all DC public school buildings in preparation for the first day of school. Volunteers are needed at over 100 schools. Efforts will include landscaping, trash pick-up, light painting, planting flowers, setting up classrooms, creating leveled book rooms and other beautification efforts. DCPS will provide the supplies, water and a t-shirt. You will provide a great service to your community! 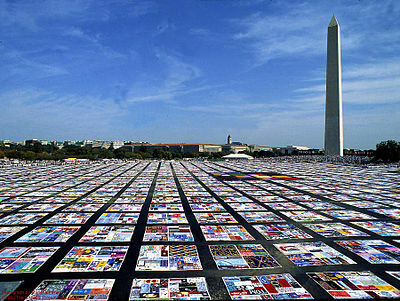 The AIDS Memorial Quilt was started in June of 1987 to create a memorial for those who had died of AIDS, and to be used as a tool to help the world understand the impact of the disease. More than 20 years later the Quilt remains a reminder of a pandemic that still exists. As Washington, DC hosts the International AIDS Conference, sections of the Quilt are on display on The National Mall and at more than 40 other locations throughout the Washington, D.C. area from July 21-­ 25. Most venues will be open from 10 am to 5 pm during this time. The Quilt consisting of 48,000 panels has rarely wholly been on display. With the advancement of technology however, a collaboration of researchers and academicians have created a digitized quilt that allows for more accessibility and the ability to search panels by name. If you are interested in expressing yourself, ONE and (RED) recently launched (2015) Quilt to engage a new generation in fighting the pandemic where anyone can create a panel. Learn more about their campaign for the beginning of the end of AIDS here. The most exciting arrival on Pennsylvania Avenue NW since President Obama was welcomed to his new home in January 2009 took place last night July 12 with the opening party for Del Frisco’s Grille. Obama brought an excitement and fresh vibe to the 1600 block of Pennsylvania Avenue and following his lead Del Frisco’s is doing the same for the 1200 block. With a tasty menu of what owners are calling “a modern twist on the classic bar and grill” they have brought some excitement to the dining and bar options in an area that had been longing for something fresh. 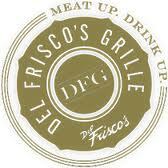 Del Frisco’s is certain to become a favorite for the lawyers, lobbyists and public servants that work in the surrounding blocks and now have a new place to play. It is a perfect addition to the neighborhood.